The 2016-17 7DAYS EuroCup is already in full swing, as after Round 2 all teams have already played at least one game. The second round of competition proved to be as thrilling as ever and when the dust settled, three players emerged above the rest as the ones with the highest performance index rating among winning players. 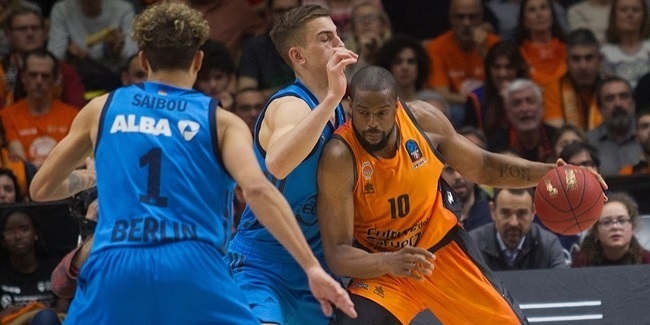 Herbalife Gran Canaria Las Palmas' Kyle Kuric and two faces from Lietkabelis Panevezys, Ksistof Lavrinovic and Zygimantas Skucas, racked up a 25 each to become MVP's in Round 2. Kuric earned his second straight accolade of the season, since he was also Round 1 MVP, as he led his team to a valuable road win at Nizhny Novgorod thanks to 20 points, 3 rebounds, 1 assist and 4 steals off the bench for an impressive start to the season. Newcomer Lietkabelis also stays undefeated after its second win, based on the performance of Skucas and Lavrinovic. The former netted 22 points, pulled 3 boards, dished 2 assists and had 1 steal while Lavrinovic added a double-double of 15 points and 10 rebounds, plus 3 assists, 3 steals and 2 blocks. Topping the performance index rating charts this week, albeit on losing sides, were Deandre Kane of Nizhny Novgorod (29) and Facundo Campazzo of UCAM Murcia (26). Brandon Jefferson of Union Olimpija Ljubljana led all scorers this week with his 28 points, which included an impressive 8 of 11 threes, tying for the best fourth mark ever in the EuroCup. 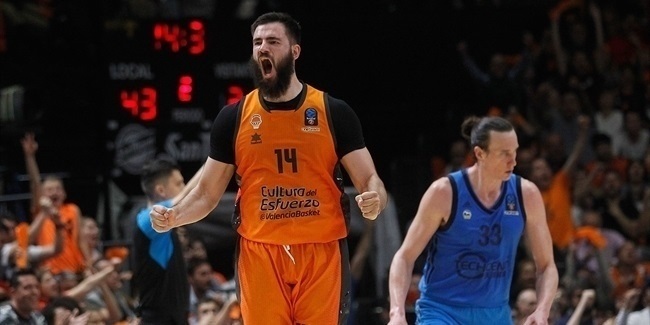 Right behind him were three players with 22 points apiece: Rafa Martinez of Valencia Basket, Marko Popovic of Montakit Fuenlabrada and Skucas. Lavrinovic was joined by Hapoel Bank Yahav Jerusalem's Amare Stoudemire to rule the rebounds rankings of the week with 10 boards apiece. In the assists department, Campazzo was the sole player in double digits with his 12 decisive passes. 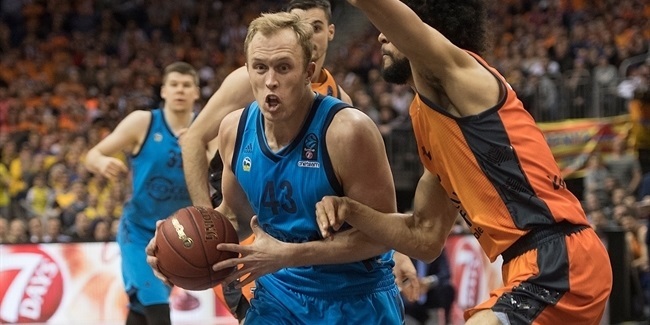 On the defensive end, Kuric and ratiopharm Ulm's Taylor Braun shined with 4 steals each while under the glasses, Dejan Musli of Unicaja Malaga managed to stop as many as 4 shots to lead the weekly rankings.